This machine is not recommended, it breaks quickly and many come faulty straight from manufacturer. Bad one Whirlpool !!! 4.5 cu. ft. Wash Basket - The wash basket of the WFW9750WW is 4.5 cubic feet in size, with enough room to handle large loads for the whole family. Effective motor for high spin speeds - The motor on this washing machine can reach a maximum spin speed of up to 1,400 RPM. Efficient design - The Whirlpool WFW9750WW is designed for efficiency, using less water and energy than many of the washing machines currently in the market. 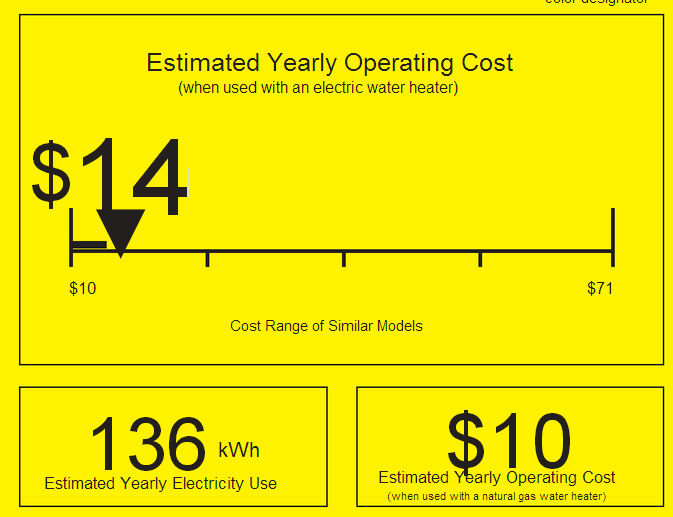 This machine meets the qualification requirements for both ENERGY STAR and CEE Tier III. Night Quiet option - This option can be used to get your wash done with less noise and vibration to ensure a good night's sleep. 6th Sense Technology - The 6th Sense Technology measures your load and spin cycle to automatically adjust the water level and temperature. NSF Certified Sanitary Cycles - With the steam and sanitary cycles on the WFW9750WW, this machine can remove up to 99.9% of household bacteria, meeting the NSF International standard for certification. If you looking for more capacity, go for the newer WFW94HEAC or WFW88HEAC which will add 0.8 cu ft to the drum, but does cost $300-400 dollars more. These washers have larger capacity than the WFW9750WW but have a smaller depth. This washer does have a large depth which makes it rather clunky. 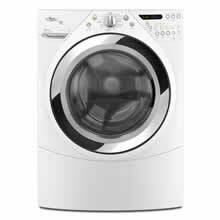 These two are really the replacements to this washer, and they have new technology which is much better at adapting the cycle to the load. 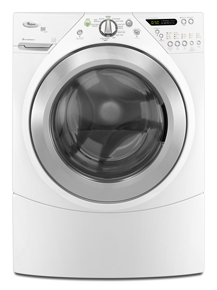 The main advantage of the Whirlpool WFW9750WW is that it is a solid, all-around machine. Not only do you get multiple spin cycles, options, and settings, but you also have a machine that works efficiently, effectively, and quietly. You have 14 automatic cycles to choose from, a deep clean steam option, bleach and detergent dispenser options, and more. The Energy Star and CEE Tier III qualifications achieved by this machine mean that it will cause less stress on the environment and less strain on your wallet. Also, this machine has a solid system for controlling vibration and noise levels. Smooth Spin Technology, the Night Quiet option, and the overall design of this machine all help to keep the machine operating smoothly and quietly. The main disadvantage of the Whirlpool WFW9750WW is that some people may find it to be pricey. Although it is at a reasonable price for the amount of features that you get on this washing machine, some people may find it too costly to spend around $1,000 or more for a washer. Some of the lowest prices for this washing machine begin at just below $1,000, but prices can reach over $1,200 from other retailers. Most of the other problems with this machine are largely isolated and Whirlpool gives you a one-year warranty to cover you from any problems that you may encounter. "clothes twisted and difficult to take out of machine"
"your on your own after the one year warranty, just when it breaks"
"great when it works but doesn't work!!!" "expensive to repair and these washers break"
(I like My Washer And Dryer)I got washer and Dryer July 5,2010. I would like to say this is one of the best .I ever had.My washer clean my cloth the best I ever had. The little trouble i got is My washing room is close to the living room at first the Washer did not but now it makes noise , When it is spinning the water out you cannot hear what is being said on T.V. . It didnot do that at first . I' m going to call Whirlpool and I believe they will fix it for me . Because Anybody can get a person to buy one time . But what you want is for you to have people to come back plus tell your friend . I got this machine with the matching dryer. Dryer works great! I HATE this washer! It smelled used when it was delivered to begin with then it broke before I even had it a month. Then once it was "fixed" it broke again. I spent a lot of money on this washer and at the laundry mat while waiting on the repairmen. Also I just recently started noticing on our laundry that there are "Greasy" spots on them only to realize that the fabric softener is dripping out before any water and leaving these spots all over our clothing! I am not a happy customer! I will NEVER use another whirlpool product as long as I live!! I just wonder if anyone else is having the "greasy" spot problem. I paid alot of money for this washing machine thinking I was buying the best, it broke down the first time within 6 months took over a week to get a replacement hose (the size of a straw) from a place that was less than 2 hours away. It broke down again a few days(9) outside of the 1 year warranty giving the same code that it gave the first breakdown. I called whirlpool they would'nt do anything because it was out of warranty even though it was the same issue as the first I think a company like whirlpool should stand behind their products and the customers who pay their hard earned money for those products a little better than that. I can't tell you what to do but I know I will not buy another whirlpool product or anything related to whirlpool ever again. Oh and their answer for all of this was that I should have spent even more money to buy an extended warranty, I guess whirlpool is like my children and thinks that money grows on trees. So Sears repair man just left my house ($129.00 later) just to tell me that because I have been using REGULAR detergent, the bearing is SHOT. The Total repair price, PARTS ONLY, would be $820.00!! WHAT! How are a few parts MORE then the total cost of the machine. He pointed out something to me that in the last 2 years I never noticed, a little sticker that says "use only high efficiency detergent, ie.. HE"
I've never even heard of such thing, but I'm guessing that when I find it, the cost is twice that of "regular" detergent, which would quickly end of costing me a lot more money in the long run then a "non-efficient" washer. I've got the same issue with a WFW9500TW01. I've been waiting 6 weeks and am getting the run-around from service. The replacement part was expedited to me after several complaint's, but it doesn't fit the machine. 2 days ago the service rep told me he was told the part was expedited, but that's a month ago and is the wrong part. When choosing a Whirlpool front load washer, add the purchase of the extended warranty to the purchase. 15 months after our purchase we started getting an F35 code and the washer would not cycle. You end up with wet, unwashed clothes. We called for service, wait a week for a repairman, he comes in I review the problem with him in person, he tells me need a new pressure switch - "I have had to replace several of them"
He then tells me he has to order it throught the warranty company and it is usally a week (that will be two weeks without a washer) Ten days go by, I call the repairman, still no pressure switch, I call the warranty people, the part is on back order - That is code for - "We have to replace alot of that part, so we ran out of them." 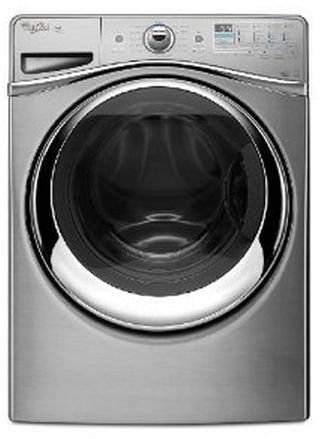 Only purchase the Whirlpool with the extended warranty and if you have a laundry near by.